What training do you need to walk a half marathon? The half marathon is 13.1 miles or 21 kilometers long. It will take three to four hours to complete at a continuous brisk walking pace. You will need to build up your walking distance over the course of a couple of months to cross the finish line feeling great. First, you need to build up your walking endurance to establish a good mileage base of walking comfortably for 5 to 7 miles at a brisk pace. That's the minimum needed before starting longer distance training for a half marathon or marathon. If you are at that level, you could probably make it through a 13.1 mile half marathon, but it's probably going to hurt. If you want to feel great at the finish, rather than hobbling in with blisters, aches, and pains, you should train at higher mileage once a week. You won't want to make that mistake twice. Once you have a good base established, walk a longer day once a week, gradually increasing your mileage. Walkers do well by increasing their long day by 2 miles every 2 weeks. Follow the Half-Marathon Training Schedule if you have 13 weeks to train before your event. For an abbreviated schedule, if you are walking 7 miles now, you should do a long day of 9 miles this week, and drop back to 7 miles for the longest day the next week. Then put in a long day of 11 miles the next week. If you have more time to put into it, walk 12 to 13 miles for your long walk of the week and concentrate on pacing. Then allow for 1 to 2 weeks of lower mileage before your half marathon race. By increasing your long day in steps, you give your body time to build endurance and become accustomed to the longer mileage. This will help toughen your feet further and help with endurance during the event. You may be a person who never gets blisters walking for your usual distance. But once you increase your distance in training for a half marathon, you may begin to have this problem. You might also find that shoes with more cushioning will result in having less foot and leg fatigue when you are walking higher mileage. When walking a half marathon, you will be out on the route for three to four hours. Getting the proper amount of liquids and snacks becomes much more important. You will need some carbs to fuel your body over that time period. Your long walks are the time to experiment with this and get it right. If your half marathon provides on-course sports drink and snacks, it is best to use those same products on your long training walks to see if you tolerate them well. You need to know what your finish time is likely to be so you are sure you are entering a half marathon you'll be able to finish before the cutoff time. 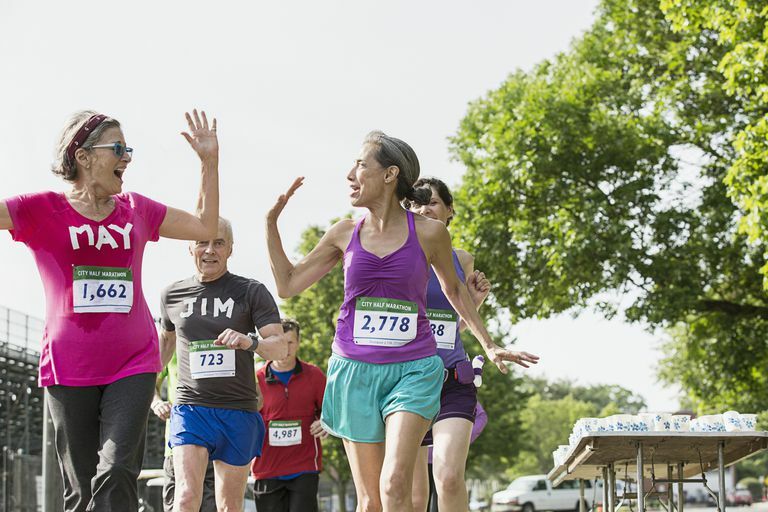 Be aware that not every race is organized to accommodate slower racers. It's best to know this before you register. Even if you find one that welcomes walkers, you may discover things are different at the tail end of a race. Not all of it is bad, but it can be lonely and you need to be prepared. It's wise to carry your own water and snacks, for example, as they may have run out or folded up the support stops by the time you reach them.